Hello you gorgeous, gorgeous lot! Are you having a lovely weekend? It makes such a difference with the sun shining doesn’t it?! Well all that sunshine is definitely having an influence on me as my wedding inspiration boards have a positively spring like feel to them. 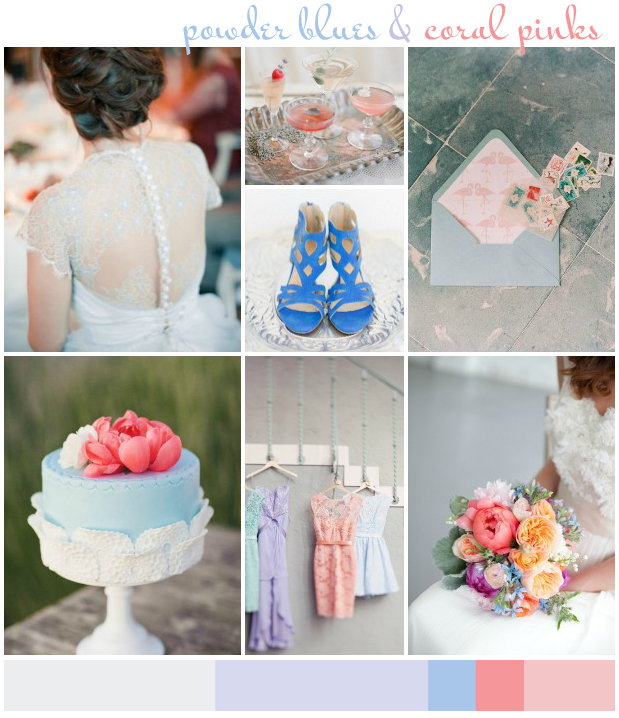 Today’s wedding inspiration board and colour idea is girly pinks and blues with a distinctively grown up and sophisticated vibe! The powder blue scheme is mixed with gorgeously soft salmon pink and what really makes this colour palette pop is the use of the bright coral pinks and cornflower blues and the merest hints of teal and lavender. 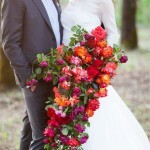 It’s such a pretty wedding colour combo! I hope you are as in love with this mood board as I am? If your overall style is modern and contemporary I would definitely advise using bright pops of colour for an edgier look and to liven up a pretty pastel colour scheme. Just gorgeous! If you missed anything last week… click on the links below to catch up and see you again real soon! 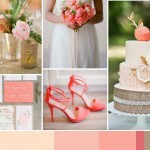 Such a pretty inspiration board!